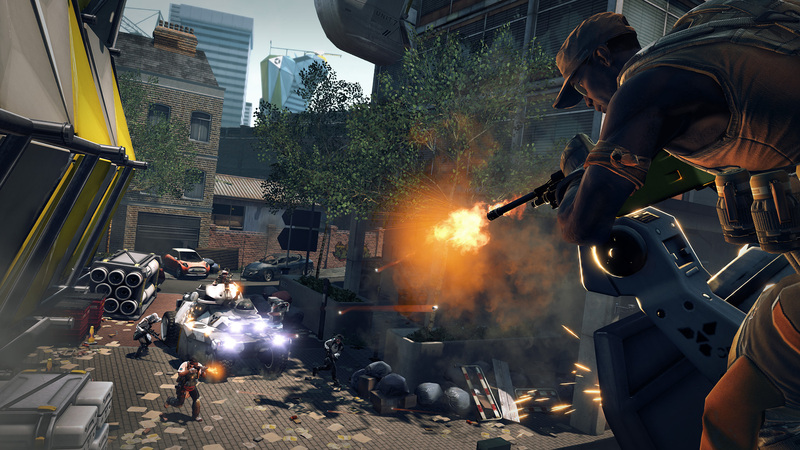 Nexon America will publish developer Splash Damage’s PC title, Extraction. The Multiplayer Online First Person Shooter (MOFPS) will be available in North America and Europe, as well as Australia and New Zealand. The game makers debuted Extraction at the Penny Arcade Expo (PAX Prime) in Seattle, WA from Aug. 30 - Sept. 2. Check out a first look at the game in this exclusive video below. Extraction combines tactical gameplay, fast-paced action and an ever-expanding roster of playable characters to create a highly competitive team-oriented shooter. Players can choose from dozens of unique roles with different playing styles and abilities, and fight in teams to defeat their opponents by defending or attacking key objectives. Set in evacuated London following a mysterious radiological attack, elite squads of mercenaries secretly unite in the city's abandoned streets to extract the valuable information left behind. Extraction offers a fair and balanced playing field, achieved through ECHO, a powerful analytics and telemetry system. "We are inspired by the passion of the developers at Splash Damage and have immense respect for their expertise in multiplayer game development," said Min Kim, CEO of Nexon America. "Extraction's refreshing blend of action and team-oriented strategy provides the depth PC shooter fans have been looking for. Through our partnership with Splash Damage, we hope to plant a massive win for online gamers." Based in London, Splash Damage began its rich history in independent game development as a mod team in the PC first person shooter genre before creating its breakout hit Wolfenstein: Enemy Territory. After being called upon to create the multiplayer maps for Doom 3, the team used that game's technology and design tools as building blocks for the acclaimed Enemy Territory: Quake Wars and its first multi-platform title, Brink, which further established Splash Damage as a Triple-A game developer. "We spent a long time finding the right partner for us on Extraction. Nexon America's vast experience and the fact that they're a true trailblazer in the F2P PC game arena ultimately made the decision super easy for us," said Paul Wedgwood, CEO of Splash Damage. "Extraction is a title we love making and playing, and hope that the collaborative nature of the game delivers a dynamic and fun experience for players."